Children are born explorers, adventurers, climbers and builders. 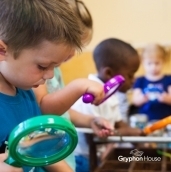 Because sitting still doesn’t come naturally, award-winning Gryphon House authors developed innovative music and movement activities for all ages. Children learn math through counting rhythms, art through pleasant melodies, and science through investigative play with percussion instruments. Explore the activities below to get started on building music lesson plans for toddlers, infants or preschoolers. Use open-ended music and movement activities for preschoolers to encourage a long standing appreciation of music and the arts. Our movement activities are designed to focus childrens’ natural energy and curiosity in fun, educational ways. 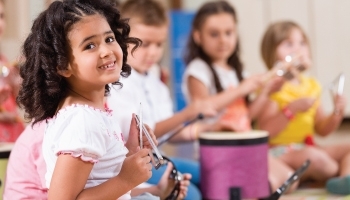 Twisting, bending, wiggling, and jumping to rhythms teaches children how their bodies move as they enjoy creating music from percussion instruments. 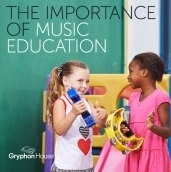 Our music activities for preschoolers are innovative and thoughtfully crafted for educators looking for creative ways to teach social skills while enhancing rhythmic awareness. When preschoolers are given the chance to use their voices for singing, or hands for shaking tambourines, they’re making vital connections between themselves and the outside world. 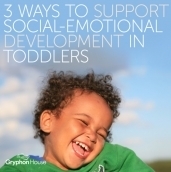 Parents can easily adapt music and movement activities created for preschoolers and toddlers for their younger children. Music activities for infants can be as simple as singing silly rhyming songs. Not only does singing to infants boost language development, singing enhances other areas of infant development like improvisation and creative thinking. To stay up-to-date on the latest music activities for preschoolers, and other music related resources, LIKE us on Facebook or follow us on Twitter.